Are you planning on setting out on a longer road trip this riding season? Since most of us have been cooped up in the cold, anxiously waiting to get back on our bikes, we’re thinking your answer is probably yes. But before you head out for a longer ride, we want to help you prepare when it comes to packing. Check out a few of our tips on how to pack for long distance travel. 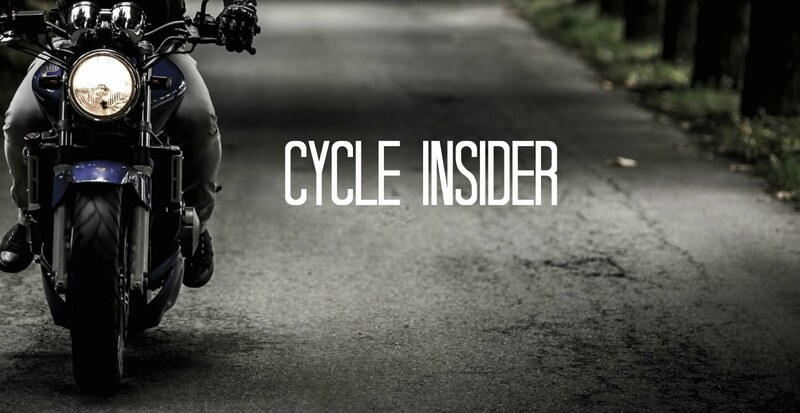 Only Pack the Necessities - We realize necessities might look different for each rider depending on the type of trip you’re taking, but one thing you’ve got to understand - less is more on a motorcycle. When prepping for your trip, lay out all of the items you plan on packing and make a point to eliminate any non-essentials from there. You don’t want to have items weighing your bike down that you aren’t going to use. Wearing the same clothes more than once is going to be your reality on certain trips - and that’s okay - there’s bound to be a laundromat somewhere along your route if you really need it. Check the Weather - We know checking the weather seems obvious, but when you’re going on longer trips the weather can change fast. Check the upcoming forecast for each day of your trip and keep weather updates on your phone. Knowing the temperature of where you’re headed each day can help you tremendously when packing. Leave room in your bags should the weather change and you need to load up your jacket, rain gear, etc. It’s also a good idea to have trash bags handy if your bags aren’t waterproof. Trust us, rain can hit out of nowhere. Pick the Right Bags for Your Trip - The length of your trip, the quantity of items, and whether or not you have a passenger on board should all go into picking the right bag for your ride. There are tons of great options on motorcycle bags from saddlebags to tank bags to backpacks (we actually checked out some awesome motorcycle backpacks here, if you’re interested). If you pack light and stay organized you might be able to fit everything in one or two of those options, but if you need more space you do have the option of adding a motorcycle luggage rack. Safety is a top priority, so make sure everything is strapped on tight and that no luggage items/bags are blocking the airflow to the engine. Take a Test Drive - Before setting out on your ride it’s a good idea to take a quick test drive with all of your packed items on board to see how they feel on your bike. Are you feeling too weighed down? You might need to take a look at your “essentials” and make a change, eliminate items, or make a few tweaks in bag positioning. You want to make sure everything feels perfect on your test drive so you can sit back and enjoy the open road. There you have it - the packing tips you need to know for taking those longer rides. 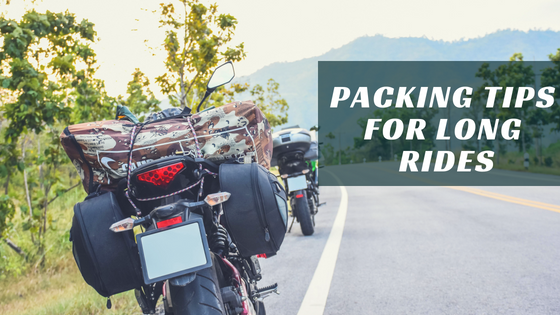 We are excited to get out on the road and hope these tips have helped you realize less is more when it comes to packing on a motorcycle. What are some of your tricks for packing for long distance travel on your bike? Do you have any longer trips coming up? Let us know in the comments below. 2) Most OEM tool kits are junk- pack a small selection of high quality, multi-use tools which fit the fasteners on your machine. Include a few fasteners and bulbs too. 7) Try out all your gear BEFORE embarking on your adventure- you'll quickly see what works and what doesn't. Getting a motorcycle was the major motive for finally making those steps towards minimalist lifestyle for me:) Especially after 5 years of working as a writer of term paper reviews, I collected loads of stuff! For me the biggest issue was to find that ONE pair of shoes that would be both comfortable and OK with all my travel outfits. UP Board 12th Result 2019 is not yet declared and is expected to be out in April end or in the first week of May, 2019. Since we do not have the current statistics therefore candidates are advised to go through the previous statistics of the UP Board 12th Arts Result 2019. Mr. Jam was the President of Cyrano Group.